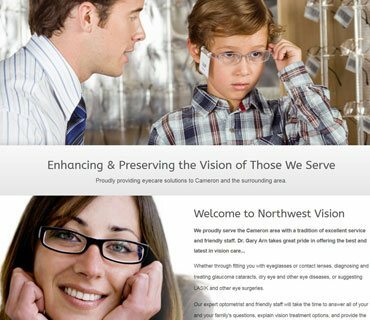 Dr. Johnson invested in high quality photography and the result, when paired with our Vision theme, takes her site (and brand) to a whole new level! 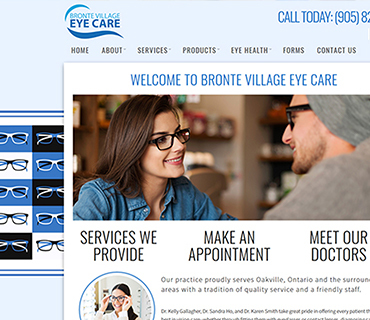 Bronte Village Eye Care made a great choice by selecting our Stereo theme! This elegant and professional new look is sure to attract clients for our neigbors to the north. 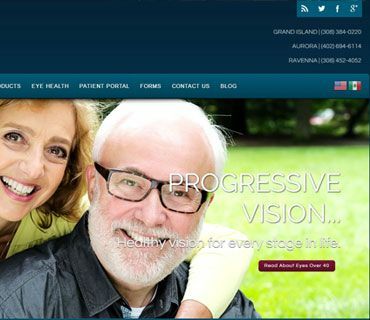 This Vision design in 'Breezy' features an eye-catching video slideshow & polished layout, which helps attract patients in Highlands Ranch, CO.
Dr. Paul's site is a great example of how we can modify colors in an Advanced design to maintain branding consistency from physical to digital. 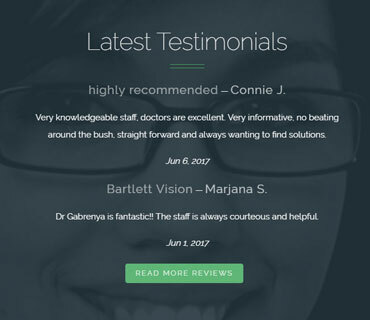 Dr. Gabrenya fell in love with our Vision design in 'Oceana', as it complements her office branding perfectly! 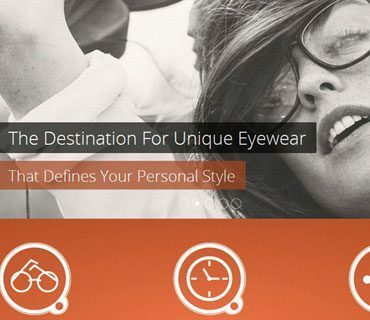 Custom-styled latest reviews add to the professional look of the site. 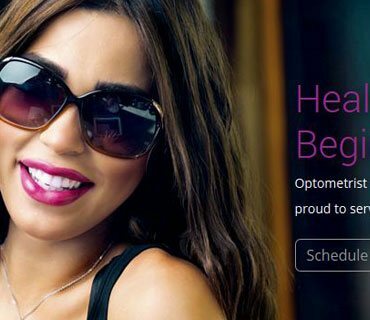 Optometric websites should have personality! We've integrated Harbor View's unique oceanside location into this Elegance design. Our Scenic design is the perfect showcase for Dr. Fritsch's incredible office photos. 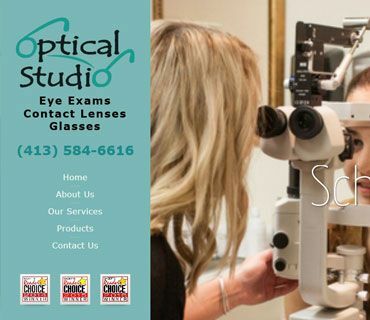 Many of our clients have been voted "Best Of". We're proud to be able to help them show off their awards! 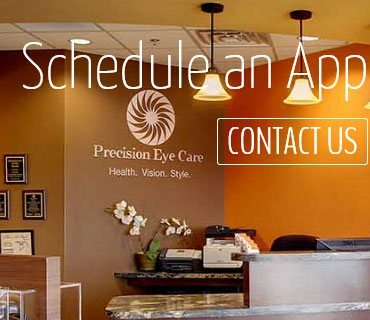 Our Scenic design and full-screen dilating pupil video dazzles visitors and portrays a very modern practice feel in Huntsville, AL. 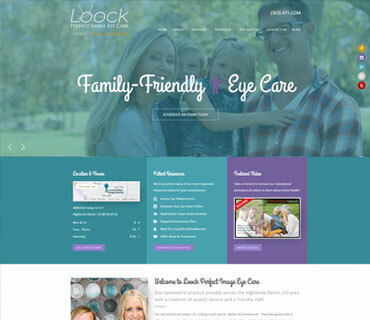 This 3-location practice in Nebraska updates their Blog using our easy-to-use website Content Management System. 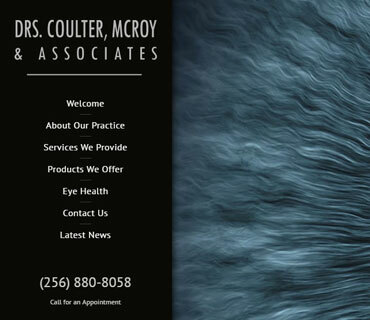 Sometimes, having multiple office locations on a website makes it difficult for patients to find correct contact info. 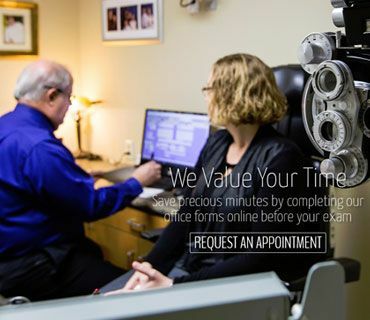 This site makes it easy for patients of Lens Doctor's 4 office locations. 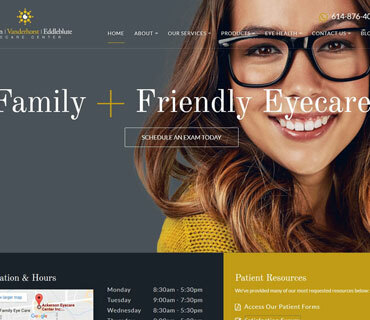 Like many of our clients, Dr. Bacaris turned to us after a negative experience with a different web design company. 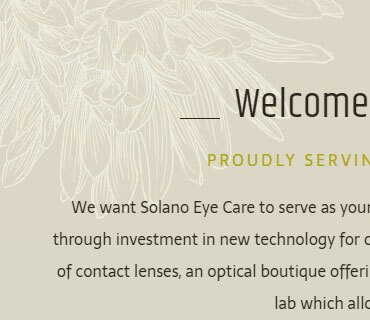 We're known for our attention to detail & outstanding customer service. 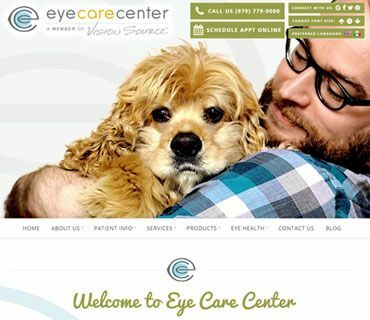 When we take a site live, we help kickstart awareness by sharing an optimized post to our client's FB page. So handy! Especially for savvy practices like TVC, with 3,000 followers! 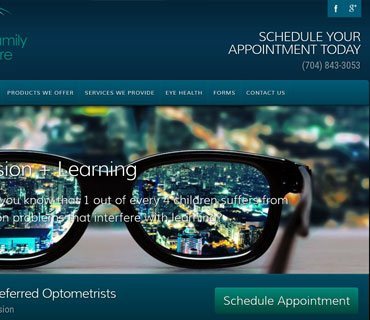 Dr. Dobson's site is as user-friendly as it gets! 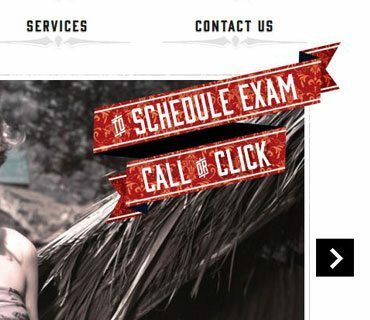 It features dynamic font-sizing, Spanish language translation, a sticky menu, and always visible online scheduling & contact info. 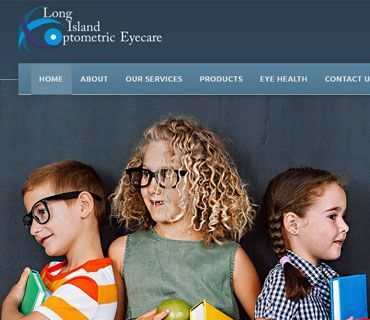 Visitors won't soon forget the unique dilating pupil or educational videos that greet them on this site! Our Vision design in 'The Source' is a classic, yet modern design with pops of color. 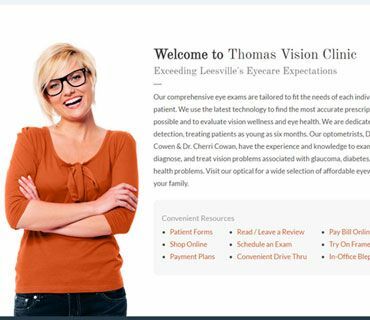 Keep in mind we can customize color palettes to match your practice branding precisely! 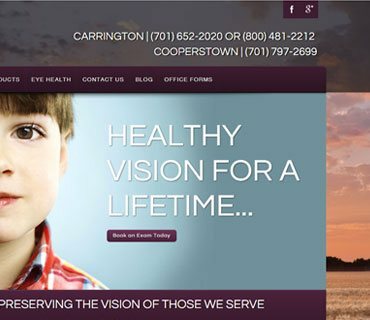 We worked with Dr. Shull's interior designer to bring the office's unique vintage look through to the website in order to maintain branding. 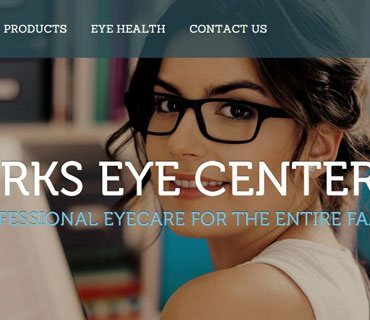 Dr. Perkins wanted a website that reflected the atmosphere of his unique eyecare + eyewear boutique. 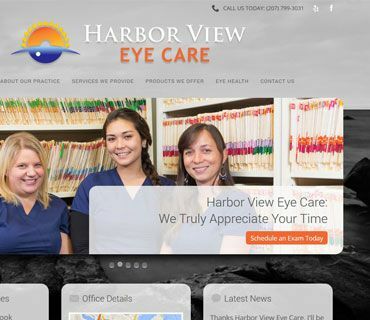 Dr. Hendrickson chose a stunning local landscape to greet her website visitors. 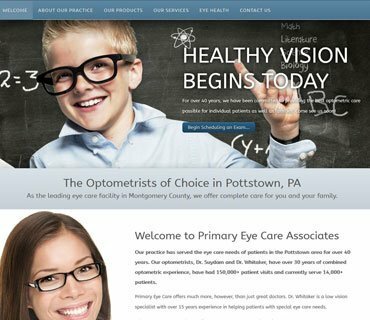 The people of Pottstown, PA are greeted with a clean, modern website with all the info they need for their next appointment at Primary Eyecare Associates. Dr. Adamo's choice to go with our Advanced package didn't limit the ability for her office to stand out from the crowd in Hinsdale, IL! Cameron, MO may be a small town, but this Advanced Vista design enables Dr. Gary Arn to promote his practice in a big way. 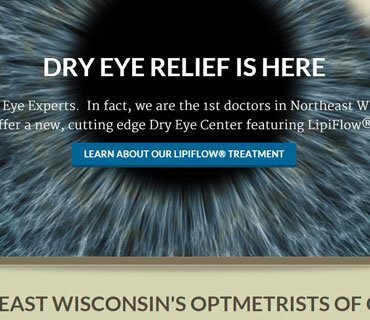 Dr. Kirks wanted a refreshing, professional website that highlighted the most looked for visitor information. 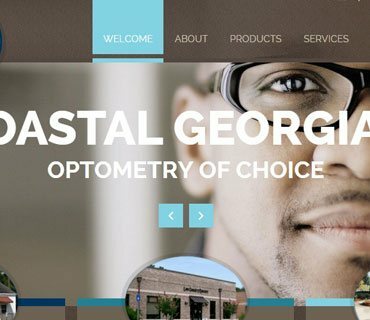 Low Country Eye Care wanted to feature each of their 3 locations, and make it simple for patients to find specific office details. 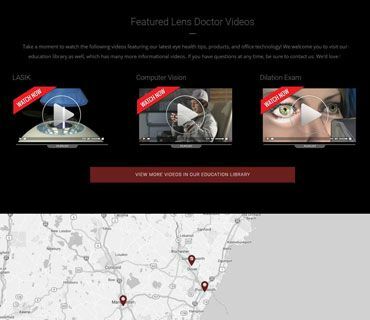 This striking website is an Advanced Impact design that features pops of animation to help engage visitor interest. This California practice wanted a spa-like feel to help highlight their community awards & make them standout from the crowd. 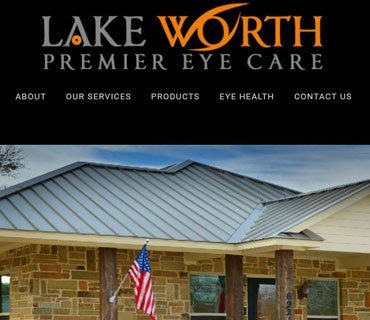 This dark Elegance design is the perfect backdrop for Lakeworth's distinctive logo and striking exterior office photo.